However, we will only briefly stay close to the Mediterranean coast and then enter the mountains through the drained valleys of Andalusia. Endless landscapes, bizarre rock formations and some challenging non-asphalted farm track ensure that there is no time for boredom on our journey. A section on a disused railway line (including sleepers and tunnels!) is missing as little as well as one or the other river passage. Some of the parts were already on the program with the “Dakar” and the “Transpaña” and was interwoven to a completely conclusive enduro tour. We are very happy to offer these driving pleasures. As with all of our events, we are going here for the special kind of route recommendation, the roadbook. Country-specific guesthouses and hotels are our dining and overnight stops. Enjoy the delicious and varied Andalusian cuisine and Spanish flair. In order to avoid the extremely long and cost-intensive journey by road, we can transport your motorbike from Stuttgart to the destination area and back again. By plane you are in just two hours in Spain. 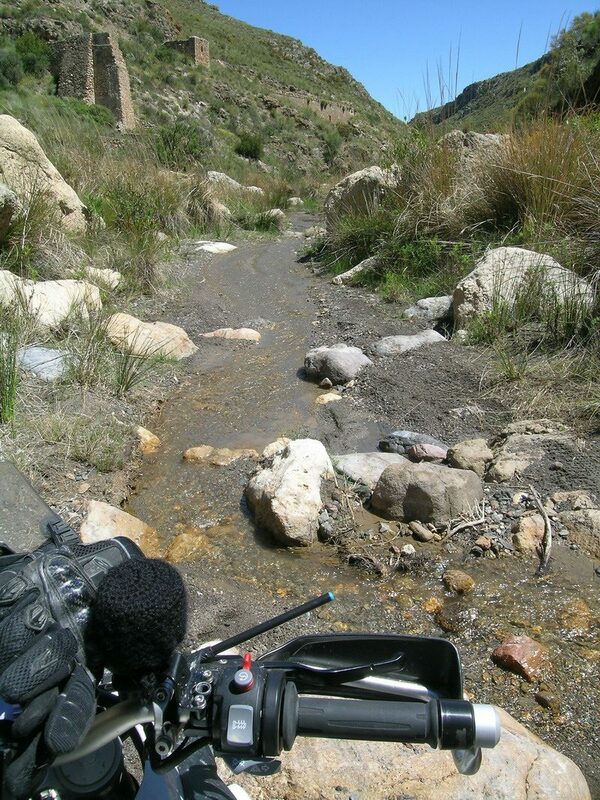 Approximately 1,300 kilometers, 90% off-road, day stages 190-280 kilometers. The hotels we stay in have the character of the country and a good standard. We are staying in areas that are not geared towards mass tourism. 7-night hotel stay in double rooms, half board, table drinks, roadbooks, tour guide, luggage transport, technical support, service vehicle, travel security note.